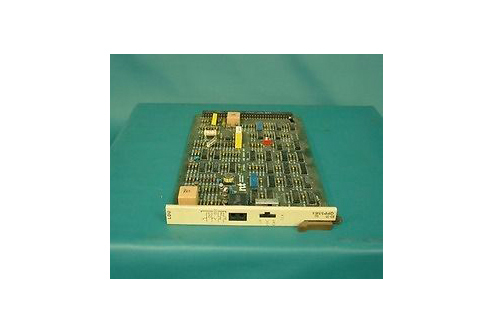 Nortel’s Async product lineup included the DE-4 series of power converters, amplifiers, alarm units, channels and more. Worldwide Supply has a full stock of refurbished Nortel DE-4 options no matter what deployment or part you need today. Operators and carriers rely on the Nortel DE-4 for their power and line interface needs in multiple network settings and configurations. While the DE-4 line is mostly covered in the product acquisition from CTDI, its technologies were folded into other designs, limiting the availability of new DE-4 products. However, used and refurbished Nortel DE-4 equipment still can be found in many networks across North America. The reliability of Nortel is still available, and Worldwide Supply can help ensure your network’s longevity and affordability with used Nortel DE-4 equipment and parts that have been brought back up to original OEM standards. Expand your network with Nortel power and uptime promises at a rate you can afford today, with support for future revenue tomorrow. Worldwide Supply offers a complete range of refurbished Nortel DE-4 parts and equipment to help you secure and deliver today’s leading services. To boost your capabilities, we offer repairs and maintenance from certified technicians who learn OEM standards and practices to ensure every piece of equipment meets the highest international standard for telecom industry suppliers. Our operations are TL9000 certified to ensure proper quality management and QoS. What that means for you is reliable equipment, consistent uptimes, speedy international spare parts delivery, maintenance and repair assistance, certified engineers, and 24/7 support to keep your network up and running.